Panama’s economy has boomed in recent years, its rapid growth spurred along by bustling tourism and international trade. Attracted by this small Central American nation’s vibrant culture, food, and nightlife, in addition to expanding business opportunities, about 25,000 Americans are estimated to reside in Panama today. Many are drawn to the thriving metropolitan center of Panama City, which hundreds of thousands of people call home. If you’re planning on renouncing your citizenship and becoming an expatriate, or if you’re among the thousands of US citizens currently living and working in Panama, it is critically important to ensure that you are in full compliance with all IRS reporting and filing requirements. Ted Kleinman CPA can help. To set up a free and completely confidential consultation with Ted, call US Tax Help at (541) 923-0903 today. Why Choose Ted Kleinman as Your CPA? 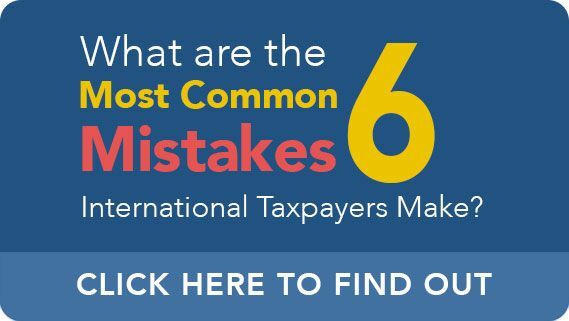 Expatriates and citizens abroad are subject to unique and complex IRS criteria, violations of which can expose the taxpayer to severe civil and, under certain circumstances, even criminal consequences. 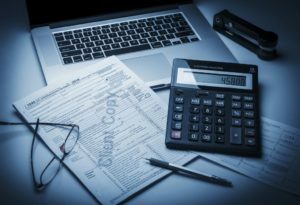 By taking a proactive, aggressive, and strategic approach to your tax matter with assistance from an experienced CPA, you can help to keep your financial options open while giving yourself the best possible chance of avoiding or mitigating the harsh penalties which might otherwise be imposed. CPA Ted Kleinman has more than 30 years of experience helping expatriates and US citizens in Panama negotiate with the IRS to favorably resolve a broad spectrum of complex tax issues. Whether you’ve received an audit notice and aren’t sure what to do next, are concerned about a past failure to pay a penalty or disclose income, or simply have questions about how to make credits and deductions work for you and your family, Ted Kleinman is available around the clock to help you find the most efficient path toward resolution. The Expatriation Tax: Are You a Covered Expatriate? Long-term residents who have terminated their US resident status. Persons who have renounced their US citizenship. If you are a “covered expatriate,” any gifts or bequests you make on US persons, such as an inheritance passed down to your children, will be taxed at the highest gift tax rate, which is currently 40% (above the excluded amount, which is $14,000 per year, per person). Through the “mark-to-market” tax imposed by the HEART Act (Heroes Earnings Assistance and Relief Tax), you will also be treated as though you have sold all of your assets the day prior to expatriation, at fair market value, for tax purposes. Capital gains from the supposed sale are taxed as income. You were unable to certify via Form 8854 your full and total compliance with all federal reporting requirements and tax obligations for the five-year period before you expatriated. On the date you expatriated or terminated your residency, your net worth was at least $2 million. I Have a Bank Account in Panama, Am I Required to File an FBAR with the IRS? Over the past decade, the Internal Revenue Service and Department of Justice have taken increasingly aggressive and far-reaching measures to crack down on acts of suspected tax evasion and other tax crimes. One such measure is the Report of Foreign Bank and Financial Accounts, more commonly referred to as FBAR. While the FBAR requirement was originally designed to discourage the concealment of income and assets in offshore tax havens, its broad criteria have unfortunately also affected countless taxpayers abroad. You are a US person, which includes citizens, residents, corporations, partnerships, limited liability companies, trusts, and estates. You have signature authority over or financial interest in a foreign financial account. The aggregate value of the account or accounts exceeded $10,000 at any point in time, however brief it may have been, during the reporting year. If these criteria describe you, you must file an FBAR, the next deadline for which is April 15th. with an automatic extension until October 15th. The FBAR must be filed online via FinCEN Report 114, available exclusively through the BSA E-Filing System. The accidental or negligent failure to file an FBAR can result in a civil penalty of up to $10,000 per violation. The intentional (“willful”) failure to file an FBAR is more serious, capable of resulting in a civil penalty of the greater of $100,000 per violation or 50% of the account balance – and, of even greater concern, federal prosecution by the Department of Justice. Criminal penalties include a fine of up to $250,000 and/or up to in five years in prison. Additionally, the taxpayer will receive a permanent felony record, which can present tremendous obstacles with regard to loans, employment, and various professional licenses and certifications. If you have any questions or concerns about your tax liabilities and compliance with federal laws, don’t wait for the problem to escalate. Call US Tax Help right away at (541) 923-0903 to start discussing your tax matter in a free and private consultation with international Ted Kleinman CPA. Ted works with expatriates, investors, and US citizens and residents throughout Panama, including San Miguelito, Tocumen, David, Las Cumbres, Colón, and more.